It was great the staff is really friendly and made me feel welcomed. They explained and helped me through the wholevisit. Other than the doctor who saw me wasn’t Caban who was the one I was expecting to see it was great. The Dr who saw me was wonderful. It was great the staff is really friendly and made me feel welcomed. They explained and helped me through the whole visit. Other than the doctor who saw me wasn’t Cabanwho was the one I was expecting to see it was great. The Dr who saw me was wonderful. Dr. Caban was very professional. He explained everything and you can ask him any question you might have. The wait timewas very long, close to two hours I had to wait to see the doctor. Next time I'll try to get the first appointment of the day. Dr. Caban was very professional. He explained everything and you can ask him any question you might have. The wait time was very long, close to two hours I had towait to see the doctor. Next time I'll try to get the first appointment of the day. Dr. Caban has been practicing Dermatology for 24 years. 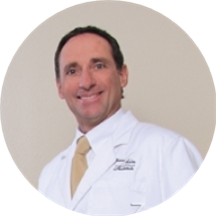 Dr. Caban established the Caban Skin Institute in Brandon 24 years ago and was the first Dermatologist in the area. He later opened his Armenia location in Tampa in order to help serve patients throughout the greater Tampa area. Dr. Caban and his staff conveniently offer both medical and cosmetic services in the office. Schedule your appointment today to take advantage of their expertise and conveniently located offices. Did not have the ZOC doc appointment in their system but they said don’t worry, they could see me anyway. I waited for 1.5 hours before getting to see the doctor. Wish they would have just rescheduled!!!!!! I went to the Tampa location with Dr. Annabelle. She's very nice and knowledge. Longest wait of my LIFE. Their system was down, so all of the paperwork that I spent a good 10 or more minutes filling out online I had to do again when I was there. Wait was ridiculous. Doctor looked atme for all of 5 seconds and handed me a prescription, ignored or talked around any questions I had. Convinced me to schedule a different appointment, and when I called to reschedule it their system was down AGAIN, so they just cancelled it and told me to "call another time" when their system was up. Waiting room was full almost the entire time. Very unprofessional and LOUD staff. People in waiting room were incredibly old and disrespectful, had entire phone calls sitting next to people without a care in the world. But as for the doctor, I would NOT recommend. It seems like an issue with Big Pharma, as in they just want you to get all of these treatments and be broke afterwards, but them the complete opposite. The wait time was horrific, even though I am not completely mad about that what was the worst is after the long wait time I was only and barely evaluated for 5 minutes. As if he never cared about my issue or recognized my issue. Very nice people! Very quick and easy! In and out in less than 45 minutes. The PA was thorough, answered all questions, and figured out treatment in no time. The staff was very polite and professional, I came to visit for something I had concerns about, but the doctor also found something I was not aware off and took care of it right there. Was very pleased, and will certainly recommend this office to friends. Would not go back and would not recommend. He is professional Dr.thanks dr caban. La atención del personal de esta oficina es muy buena and the nurse practicioner is very friendly y está muy capacitada. I liked to go there. I was seen by the nurse practitioner. She was first rate. Very skilled and knowledgeable. Great first experience with a dermatologist. I arrive 30 minutes before my appointment to fill out papaerwork etc. I waited for 39 minutes before I got the paperwork. They didn't find my appointment, because it was through Zocdoc. Waited roughly an hour an a half to goinside talk to a nurse about the reason fo my visit. Waited another 30 minutes for the doctor and 30 minutes more for the small procedure. They don't have a laser. Procedure was very old school. I was there for 4 hours total. The doctor apologized for the delay, he said he was short staffed, apparently 2 employees called in sick that day. He said is usually not like this. The office was spotless clean. The nurse and the doctor seemed knowledgeable. Depending on how I heal I will give them another try. There is plenty of parking space and seats are confortable. I have been a patient of Dr Caban's since 2000. I think he's an awesome doctor! My appt. Was scheduled for 2pm it was 3:10 pm until they called me to go into the exam room. Then another 10 minutes passed and The doctor got inside the room and didn't even checked my whole body just theartes were I had issues it was my first visit not what I expected for first time visit. I was very pleased with everything except one thing. My appointment was at 4pm. I was there 5 minutes early, signed in and sat down. Later another person came in and signed in for an appointment at 4:20. They gave himpaperwork to fill out and got him ready for his appointment and then called him back. THEN they handed me my paperwork and called me in 15 minutes after him over 30 minutes after my scheduled time. Filling out the ZocDoc paperwork online saved me a lot of time. They pulled it right up. The office personnel were amazing and the treatment was excellent. I was very pleased with my visit in spite of the bad first impression. The Dr was awesome and his main nurse was as well. The other staff was not so great.... Me completing this form online in advance did not decrease my wait. They did not call to verify my insurance, etc before Igot there. ALSO; EVERYONE WAS SPEEKING IN ANOTHER LAUNGAGE MOST OF THE TIME!! Sorry this bother's me so much I will problably never got there again. I will go for one more follow up and then probably look elsewhere. Also; there was blood stains on the wall in the lady's restroom... Not Good!!! Everyone was efficient, kind and competent. Great experience! Very professional Doctor, friendly respectful, wonderful with kids. Thank You Dr Caban. it was pompt and professional. This was our first time seeing a dermatologist. We were seen right away, the staff was very friendly, and the facility was clean! Overall horrible experience. Incompetent front desk workers and Dr. Caban was extremely rude when responding to my hour and a half wait. Walked in, saw me, and left in 6 minutes! I had to argue to get my co/pay back and I did get it back. The office was very nice and clean very professional. The ladies in the office were very nice.